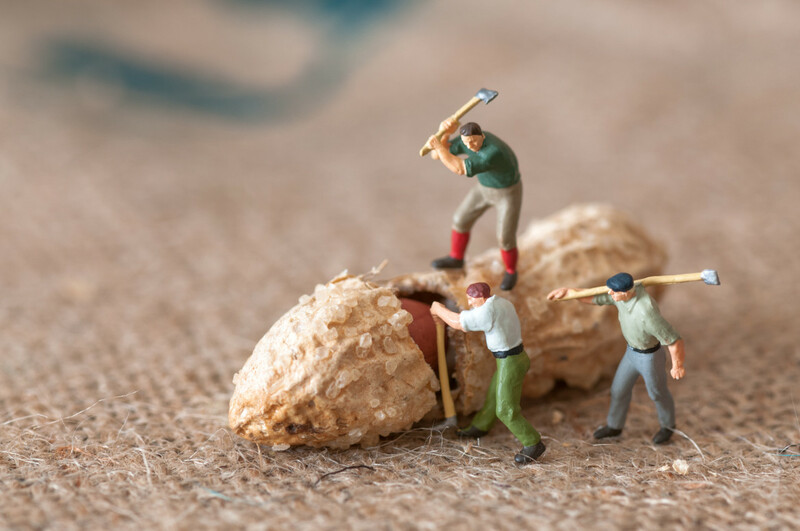 Teamwork, teamwork, teamwork … You’ve probably heard the word over and over in your career. What’s the big deal about teamwork? Teamwork makes it possible for you to succeed. Yes, you may want to do it on your own … but what is important to understand is that success rarely ever happens when it’s dependent on one person. Think about it: How many successful people in the world did it all on their own? Every single successful person has a team behind him or her. Why? You are not perfect. As much as you believe you have every strength imaginable to do everything that your business needs, you don’t. Just like everyone, you have weaknesses. You may be good with creativity to think of a great way to market your business, but when it comes to implementation, you may falter. You may be great at sitting in front of a computer all day, but when you have to talk to customers, you don’t make the impression you’d like to make or you are just not persuasive enough to sell your business. This is the reason you need a team. Each person in a team contributes a strength he or she has, which makes it possible to achieve the goals of the business. Without those skills, you may never reach your goals because you simply don’t know or can’t do what they do. It’s easy to be selfish when it comes to teamwork. You may see other people as vehicles to your success. However, it’s important to remember that when people are helping you, you are also helping them. You are giving them an outlet for their knowledge and skills. You are paying them to make it possible for them to care for their families. You are helping them achieve their goals (personally and professionally). Consider the Snoopy image for this article. Snoopy could simply use the umbrella for himself, but he would be leaving the others in the rain. When he has them climb up on his shoulders and hold the umbrella up high, not only is he better covered but he’s also covering them. 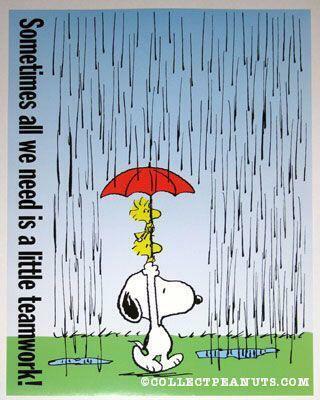 Teamwork helps Snoopy and his friends, and it can do the same for you. Think about what teamwork can do for your business. What are some skills that you don’t have, but others do that could help you achieve your business goals? Start bringing in team members and success may be just around the corner!